Today’s milk drinker is faced with many options. 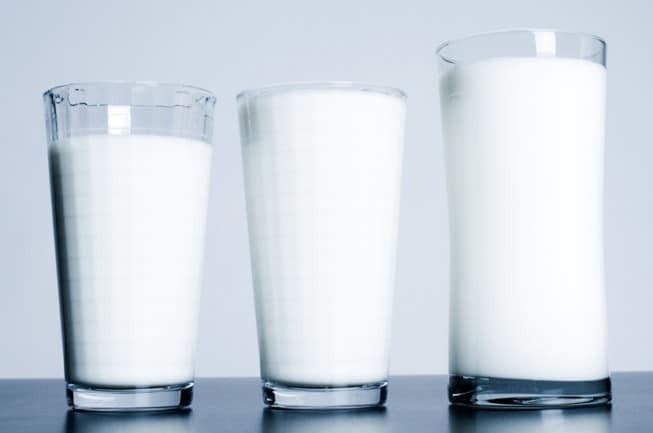 While true milk comes from an animal and contains the natural sugar lactose, there are other “milks” sold in the dairy case but they are not created equal. As you walk down your grocery aisle, you can find many different non-dairy milk options, including almond, soy, rice and coconut. Before you reach for one of these dairy alternatives, it’s important to learn what you’re really consuming. Dairy alternatives tout a nutrient or two, but they don’t measure up to the nine essential nutrients in cow’s milk. Many milk alternatives are fortified to mimic the nutrient profile available in cow’s milk. For example, an 8 ounce glass of cow’s milk, including fat-free, flavored and organic, provides eight times more naturally-occurring protein than a glass of almond beverage. 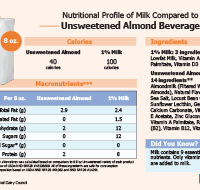 In addition, non-dairy alternatives, such as almond and soy, contain many added ingredients, including salt, syrups, thickeners and sugars. Cow’s milk, on the other hand, is pure and simple. I’m lactose intolerant — can I replace milk with an alternative beverage? Being lactose intolerant does not mean that you have to avoid dairy foods. People who avoid milk and milk products due to lactose intolerance miss many benefits dairy offers. A wide variety of lactose-free dairy products — including reduced fat, lowfat, fat-free and chocolate milk, ice cream and cottage cheese — are available. What’s the Difference Between Cow’s Milk and Plant-Based Alternatives? Can Animal Foods Fit Into Plant-Based Diets? What’s the Difference Between Cow’s Milk & Plant-Based Alternatives?